Nested polymerase chain reaction (PCR) assays were developed for the detection of equine herpesvirus 2 (EHV2) and equine herpesvirus 5 (EHV5) using the nucleotide sequences from the glycoprotein B (gB) gene of EHV2 and the thymidine kinase (TK) gene of EHV5. The simultaneous use of EHV2 specific and EHV5 specific primers in one nested amplification assay (multiplex PCR) enabled a rapid, specific and sensitive diagnosis for each virus. 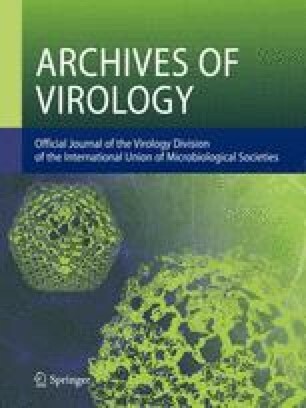 PCR was found to be 103 times more sensitive than virus isolation by cell culture for EHV2 and 106 for EHV5. In separate PCR assays, the routine detection limit after ethidium bromide staining was 0.6 fg for EHV2 plasmid DNA and 2.3 fg for EHV5 plasmid DNA, equivalent for both viruses to approximately 100 genome copies. The detection limits in multiplex PCR were 6 pg for EHV2 and 2.3 fg for EHV5, respectively. PCR assays were applied to studies of the epidemiology of EHV2 and EHV5 infections of racehorses and breeding mares in Victoria and New South Wales, Australia. Peripheral blood leukocytes from 31% of horses were positive for EHV2, 16% positive for EHV5, 8% positive for both viruses and 63% negative for both viruses. EHV2 PCR was also successfully used to detect EHV2 DNA in nasal secretions from horses. The multiplex PCR assay proved to be a rapid and reliable method for the simultaneous detection and differentiation of 2 related equine gammaherpesviruses.